Here's is a discussion with MIT Technology Review contributing editor George Anders, based in Northern California and Sally Kornbluth, Duke University Provost. Sally Kornbluth says there’s no question that students are getting value from online learning. 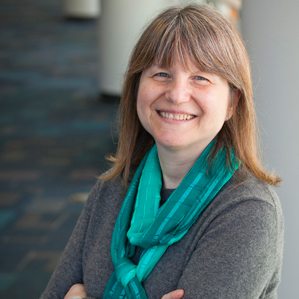 Photo: Sally Kornbluth, Ph.D., courtesy of Duke University. Of all the U.S. universities offering free online courses to the world, Duke University in Durham, North Carolina, is among the most active. Its professors have filled Coursera’s distance-learning platform with 30 courses, in subjects ranging from astronomy to dog emotions. Since 2013, the university has assigned one administrator exclusively to digital and online education initiatives. There’s even a collection of sunny haikus about online education on Duke’s website. “A few years ago, the question was ‘Should we be teaching online or shouldn’t we?’ says Duke provost Sally Kornbluth, a geneticist by training. “That conversation has passed. Now it’s a conversation about what kinds of innovative things we can do.” In a discussion with MIT Technology Review contributing editor George Anders, Kornbluth explained why Duke is bullish about online education—and what new opportunities lie ahead. Universities have been relying on books, lectures, and seminars since the 1400s. Does online learning provide a fourth channel that can rival the others? It’s supplementary. It hasn’t replaced in-person lectures or books. But there’s no question that students are finding it another avenue for getting the information they want. Frequently, that’s complementary to traditional settings. In other words, they’re looking for more background. Online learning actually enriches their in-person experience. Tell me more about blended learning—where instructors use a mix of online tools and classroom settings. How much is that happening at Duke, and what are the results? We have a lot of “flipped classroom” education going on. It’s not in every corner of the university, but you will see plenty of situations where students do online exercises or watch material online ahead of class. Then faculty can use class time for experiential learning or discussions, rather than straight-on delivery of didactic material. Students still get in-person interactions with fellow students and the faculty. We create touch points that interface with the technology, rather than having the technology be stand-alone.